...and BBM for Nokia X too! 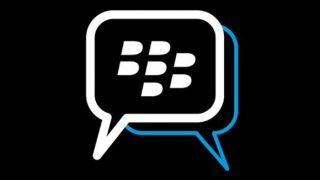 BlackBerry has confirmed its ever-popular BBM platform will spread its wings to a new platform later this year when it joins the Windows Phone fray. On day one of MWC 2014, the company announced it will also support the new Nokia X Android/Windows Phone hybrid. BlackBerry said the Windows Phone expansion comes as a response to demand from users following the rollout on Android and iOS late last year. Currently, the company is hard at work on the new apps and said the Windows Phone version will arrive sometime this summer. The rollout comes just 24 hours after Microsoft announced Facebook Messenger would be arriving on Windows Phone in the near future. During that event Microsoft promised a host more high profile apps would arrive to plug the gaps. It seems like BBM and Facebook Messenger will be the first of many.